Bar-Yosef, O., and Alon, D., 1988, Nahal Hemar Cave. Atiqot 18: 1-81. Byrd, B., 1994, Public and Private, Domestic and Corporate: The Emergence of the Southwest Asian Village. American Antiquity 59(4): 639-666. Bienert, H.-D., 1995, Kult und Religion in Prähistorischer Zeit: Eine Studie anhand von Fundmaterial epipaläolitischer und frühneolithischer Gesellschaften/Kutlturen Südwestasiens (12.-6. Jt. v. u. Z. ), Ph.D. dissertation, University of Tubingen. Cauvin,J., 1972,ReligionsNéolithiquesdeSyro-Palestine.Publications du Centre de Recherches d'Ecologie et de Préhistoire, St.-Andre-de-Cruziérs. Cauvin, J., 1994, Nassiance de Divinités, Naissance de l'Agriculture. CRNS, Paris. Garfinkel, Y., 1995,Human andAnimal Figurines ofMunhata [Israel). Les Cahiers des Missions Archéologiques Françises en Israel. Paléorient, Paris. Garstang, J,, and Garstang, J. B., 1948, The Story ofJericho. Marshall, Morgan and Scott, Ltd, London. Griffin, P. S., Grissom, C. A,., and Rollefson, G. O., 1998, Three Late Eighth Millennium Plastered Faces from 'Ain Ghazal, Jordan. Paléorient 24(1):59-70. Grissom, C.,n.d., Conservation of Neolithic Lime Plaster Statuesfrom 'AinGhazal. Unpublished progress report (1995) on file, Conservation Analytical Laboratory, Smithsonian Institution. Hauptmann, H., 1991-92, Nevali Çori: Eine Siedlung des akeramischen Neolithikums am mittleren Euphrat. Nürnberger Blätter zur Archäologie 8: 15-33. Hauptmann, H., 1993, Ein Kultgebäude in Nevali Çori. In Between the Rivers and over the Mountains, edited by Frangiapane et al., pp. 37-69. Università di Roma "La Sapienza," Roma. Kafafi, Z., and Rollefson, G., 1994, 'AinGhazal 1993-1994BiblicalArchaeologist 57(4): 239241. Kafafi, Z., and Rollefson, g., 1995, The 1994 Season at 'Ayn Ghazal: Preliminary Report. Annual of the Department of Antiquities ofJordan 39:13-29. Kenyon, K., 1970, Archaeology in the Holy Land. Ernest Benn, Ltd., London. Kenyon, K., 1981, Excavations atJericho, VolumdlI. British School of Archaeology in Jerusalem, London. Kirkbride, D., 1967, Beidha 1965: An Interim Report. Palestine Exploration Quarterly 5-14. Mellaart, J., 1967, Çatal Hüyük; A Neolithic Town in Anatolia. McGraw-Hill, New York. Nissen, H., Muheisen, M., and Gebel, H. G., 1991, Report on the Excavations at Basta 1988. Annual of the Department of Antiquities ofJordan 35:13-40. Özdogan, A,, 1995, Life at Çayônû during the Pre-Pottery Neolithic Period. In Readings in Prehistory:StudiesPresented toHalet Çambel, pp. 79-100. Graphis, Istanbul. Özdogan, M., and Özdogan, A,, 1989, Çayônû: A Conspectus of Recent Work. Paléorient 15(1): 65-74. Perrot, J., 1966, La Troisième Campagne de Fouilles à Munhata (1964). Syria 43:49-63. Perrot,J,, 1993, Remarques Introductives. Paléorient 19(1):9-21. Renfrew, C., 1985, TheArchaeologyof Cult. TheSanctuaryatPhylakopi. ThamesandHudson, London. Rollefson, G., 1983,Ritual and Ceremony at Neolithic 'Ain Ghazal (Jordan). Paléorient9(2):29-38. Rollefson, G., 1986, Neolithic 'Ain Ghazal (Jordan): Ritual and CeremonylI. Paléorient 12(1):45-52. Rollefson, G., 1987, Local and Regional Relationships in the Levantine PPN Period: 'Ain Ghazal as a Regional Center. In Studies in the History and Archaeology ofJordan, edited by A. Hadidi, pp. 29-32. Department of Antiquities ofJordan, Amman, Jordan. Rollefson, G., 1990a, The Uses of Plaster at Neolithic 'Ain Ghazal,Jordan. Archaeomaterials 40:33-54. 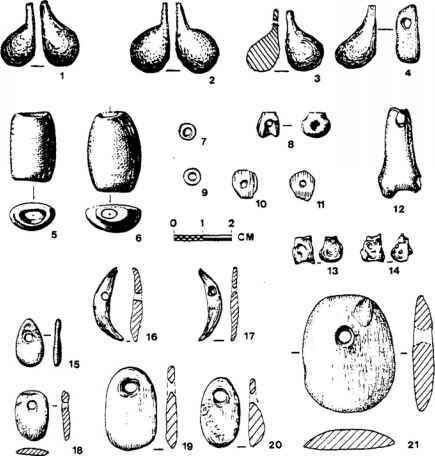 Rollefson, G., 1990b, Neolithic Chipped Stone Tool Technology at 'Ain Ghazal: The Status of the PPNC. Paléorient 16:119-124. Rollefson; G., 1997,Changes in Architecture and Social Organization at Neolithic 'Ain Ghazal. In Prehistory ofJordan II. edited by H. Gebel, Z. Kafafi, and G. Rollefson, pp, 287-307. Ex Oriente, Berlin. Rollefson, G.,Banning, E. B., Byrd, B., Kafafi,Z., Köhler-Rollefson, I., Petocz, D., Rolston, S., and Villiers, L., 1984, Excavations at the PPKB Village of 'Ain Ghazal (Jordan) 1982. Mitteilungen der Deutschen Orient Gesellschaft16: 139-183. Rollefson, G., and Kafafi, Z., 1994, The 1993 Season at 'Ain Ghazal: Preliminary Report. Annual ofthe Department ofAntiquities ofJordan 38: 11-32. Rollefson, G., and Kafafi, Z., 1996, The 1995 Season at 'Ayn Ghazal: Preliminary Report Annual ofthe Department ofAntiquities ofJordan 40: 11-28. Rollefson, G., and Kafafi, Z., 1997, The 1996 Season at 'Ayn Ghazal: Preliminary Report. Annual of the Department ofAntiquities ofJordan 41:27-48. Rollefson, G., and Köhler-Rollefson, i., 1989, The Collapse of Early Neolithic Settlements in the Southern Levant. In People and Culture Change: Proceedings ofthe Second Symposium on Upper Paleolithic, Mesolithic andNeolithic Populations ofEurope and theMedi-terranean Basin, edited by I. Hershkovitz, pp, 59-72. British Archaeological Reports, International Series 508. BAR, Oxford. Rollefson, G., and Köhler-Rollefson, I., 1993, PPNC Adaptations in the First Half of the 6th Millennium B.C. Paléorient 19(1):33-42. Rollefson, G., Simmons, A,, and Kafafi, Z., 1990, The Neolithic Village of'AinGhazal,Jordan: Preliminary Report on the 1988 Season. Bulletin ofthe American Schools ofOriental Research Supplement 27:97-118. Rollefson, G., Simmons, A,, Donaldson, M., Gillespie, W., Kafafi, Z., Köhler-Rollefson, I., McAdam, E., and Rolston, S., 1985, Excavations at the Pre-Pottery Neolithic B (PPNB) Village of 'Ain Ghazal (Jordan), 1983. Mitteilungen der Deutschen Orient Gesellschaft 117:69-116. Rollefson, G., Simmons, A,, and Kafafi, Z., 1992, Neolithic Cultures at 'Ain Ghazal, Jordan. Journal ofFieldArchaeology 19(4):443-470. Schmidt, K., 1995, Investigation in the Upper Mesopotamian Early Neolithic: Göbekli Tepe and Gürcütepe. Neo-Lithics 2: 9-10. Simmons, A,, Boulton, A,, Butler, C., Kafafi, Z., and Rollefson, G., 1990, A Plastered Human Skull from Neolithic 'Ain Ghatal, Jordan. Journal ofFieldArchaeology 17(1): 107-110. Simmons, A., Kohler-Rollefson, I., Rollefson, G.,Mandel, R., and Kafafi,Z., 1988,'Ain Ghazal: A Major Neolithic Settlement in Central Jordan. Science 240:35-39. Stekelis, M., 1950, ANew Neolithic Industry: The Yarmukian of Palestine. Israel Exploration Journal 1(1):1-19. Tubb, K., 1985, Preliminary Report on the 'Ain Ghazal Statues. Mitteilungen der Deutschen Orient Gesellschaft 117:117-134. Tubb, K., and Grissom, C., 1995, 'Ain Ghazal: A Comparative Study of the 1983 and 1985 Statuary Caches. In Studies in the History and Archaeology of Jordan, V, edited by K. 'Amr, F. Zayadine, and M. Zaghloul, pp. 437-447. Jordan Press Foundation, Amman. Wasse, A,, 1994,Pastoral Adaptations in the Central and Southern Levant during the Neolithic, The Sheep and Goat Bones from 'Ain Ghazal, Jordan. B.A. honors thesis, Institute of Archaeology, University College, London.